I wanted to get in one last horror mini-set before everything is all joy this and twinkly lights that. A Nightmare on Elm Street was released in 1984 so that gave me another chance to use one of my favorite design templates, the 1984 Topps hockey inspired design. For this mini-set I gave the frame a little Freddy sweater touch. 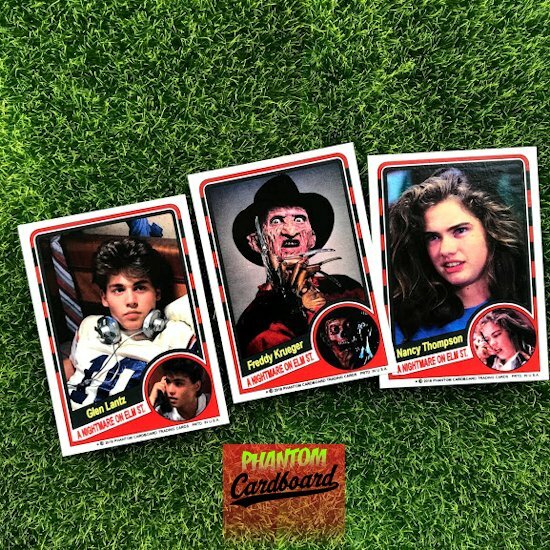 With this set I've officially completed the 80's horror hat-trick; Voorhees, Myers, and Krueger.